Lindsey Schroeter is the executive assistant and clerical support to Wayne Klenke. In this role, she is the first point of contact for Wayne’s clients and she works to improve and develop lasting, long-term relationships between clients and AXIUS Financial. Lindsey manages paperwork, scheduling appointments and communicating with clients and the AXIUS team. 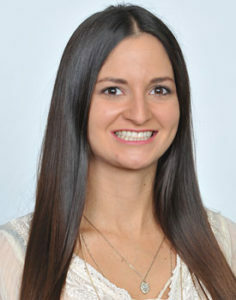 Lindsey attended St. Charles Community College and continued her education at Hickey Business College. She joined AXIUS Financial in 2011 and has been a massive asset to the team ever since. Lindsey is an only child who has a very close relationship with her family. She has a fascination with old, historic buildings, and enjoys touring them in her spare time. Lindsey has a basset hound, Clyde, who she loves to spend time with and spoil.